Adult only touring parks are a very popular choice for grown-ups who prefer child-free relaxation in their leisure time. And today, there are around 500 adult caravan sites to choose from across the UK. The popularity of adult only touring is much more than parks just having a 'child-free' policy. Guests seek well maintained parks with clean, high-grade facilities set in peaceful countryside or coastal locations. In addition, those customers typically spend more leisure time caravanning each year and are more likely to tour all year-round. So a large proportion of adult touring parks offer all weather, open all year facilities. 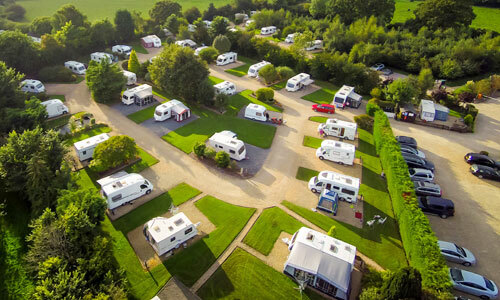 Throughout the last 19 years, one group of independent adult caravan site operators, Tranquil Touring Parks, led the sector providing guests with the widest choice of quality facilities and locations. Its successor, 'Tranquil Parks' remains at the forefront of the adult only camping sector today and, 19 years on, attracting younger guests combining a campervan or glamping lifestyle with a bit of peace and quiet. When Bath Chew Valley Caravan Park adopted an adult only policy shortly after opening in 1992, there were no internet camping directories and very few caravan magazines. Most caravanners will have used Caravan-site-finder at some time, though may be surprised to learn it was probably the only national online campsite directory when it launched in 1998. Adult only caravan sites immediately appealed to teachers and childcare professionals for whom child-free surroundings was the preferred holiday. Word spread by individual recommendation, supplemented by an occasional magazine feature. Ray Betton, Bath Chew Valley's then owner, saw the future for adult touring parks in developing new guest facilities and collaborating with other park owners to offer more quality-assured adult campsites. Ray set about networking with other adult only touring parks to give customers more choice, listing 70 adult only caravan sites across the country. in March 2000. The Association thrived and grew as member parks developed all-weather touring pitches, full-service pitches, luxury solo shower-rooms and a host of other facilities preferred by adults. The 'Association' later became Tranquil Touring Parks Ltd. Today, Tranquil Parks' members are moving forward, offering a wide choice of glamping accommodation for adult only guests. Bath Chew Valley also offer two luxury glamping lodges, just for adults. Ray Betton, now retired, still lives close to his family's very tranquil touring park in Somerset. One of Ray's legacies is an agreement that all Tranquil Parks require annual inspection by an independent tourism authority to meet a minimum 4 Star or 4 Pennant membership standard. You won't be surprised to learn that Bath Chew Valley Caravan Park has been voted the UK's Best Adult Only Caravan Site in 2019, making it ten times since 2009, as well as the UK's Best Open All Year Touring Park in 2018. Visit Tranquil Touring Parks ' website. View or print Tranquil Touring Parks ' brochure.